Should You Lease Or Buy Your Next Car? Buying a new car is a big decision. It involves lots of research and thought to determine just which vehicle is the right fit for your lifestyle and your budget. Many people, however, don’t often think about whether they should lease or purchase their vehicle until they get onto the car lot. How you pay for your new car will definitely affect your finances for several years, so it is important to consider whether buying or leasing your new vehicle is the right choice for you. The #1 goal at your Valley Honda Dealers is your complete satisfaction with your purchase of a new Honda from one of our Phoenix Honda dealerships. Our finance professionals have many financing options available and will work with you to ensure that you make the correct choice when financing your new car. We want you to have a better understanding of the differences between leasing and buying your next car so that you can make an informed decision. So we offer the following explanation of the various pros and cons of leasing versus buying. When you lease a new car, you are essentially “renting” it from the dealership. Therefore, you do not build up any equity in the vehicle. A lease may be attractive to you for several reasons. First, you can often afford more car for your money compared to purchasing it. The reason is that when you buy a car, you are financing the full purchase price of the vehicle plus any applicable sales tax. This is not the case when you lease a new car. With a lease, you finance the difference between the car’s price and what it is projected to be worth at the end of the lease. Here is an example: Let’s assume that you are looking to lease a new Honda from one from one of our Valley Honda Dealerships for $30,000 with a 3-year, closed-end lease. The lenders calculate that your new Honda will retain 55% of its original purchase price, also known as the “residual.” That means the car would be worth about $16,500 at the end of the lease. Instead of making payments on the full $30,000 purchase price, you’re actually financing the difference tbetween the purchase price and the car’s value at the end of the lease, which is $13,500. The result is that you may be able to lease a more expensive car with a lease than with a purchase. 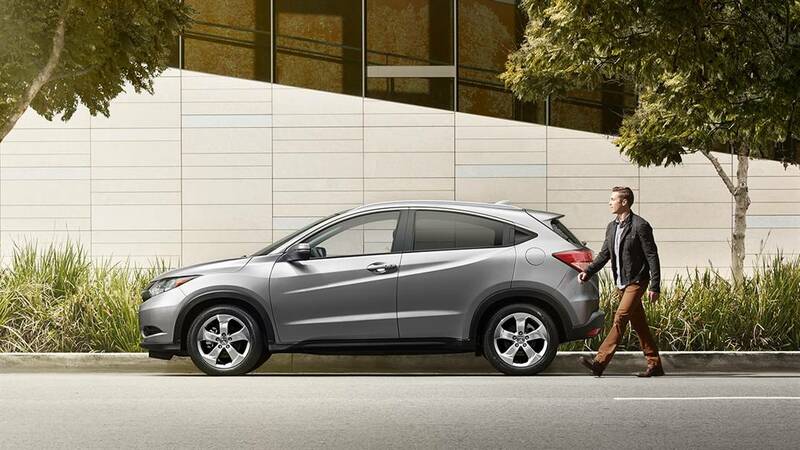 Attractive dealer lease incentives may allow you to lease a new Honda with little or no money out of pocket. However, you should be aware that your monthly lease payments will be affected based on how much money you put down. Another thing to be aware of when considering leasing is your credit score. Generally speaking, lenders require a higher credit score when you lease a vehicle compared to purchasing it. Most warranties cover a minimum of 3 years or 36,000 miles. If you only keep your leased Honda for 3 years, you won’t have to worry about the warranty expiring. If buying a car with all the latest technology and styling is important to you, then leasing a car may be a good option. And if you want to avoid the hassle of trading the car in and being concerned about whether you owe more than the car is worth (called being “upside down” in the loan), then a lease may be right for you. You also have a couple of options at the end of the lease. You can just drop off the keys and lease or purchase another vehicle of your choosing. Or, you can convert the lease to purchase by financing the balance owed. Now that we’ve covered the benefits of leasing a new Honda let’s take a look at some of the drawbacks of leasing that could influence your decision. The first thing to consider is mileage caps. Most leases allow you to drive a certain set amount of miles each year. If you go beyond the mileage cap, you will be assessed a penalty based on so many cents per mile. If you don’t pay attention to your driving habits, it could get costly. Another drawback is that you must return your leased vehicle in excellent condition or you will be liable for expensive reconditioning costs. That also means you cannot do anything to customize the car either. Now let’s take a look at some of the benefits of buying a new Honda rather than leasing it. First off, you may really like the car and want to keep it. You also don’t have to be concerned about mileage caps so you can drive the vehicle as much as you like. If you’re someone who likes to take long trips or you have a long daily commute, this may be something you should think about. You also build up equity in the car over time; something you don’t do with a lease. And once you pay your Honda off, it’s yours to keep. No longer having to make car payments will save you money. You also have the option to trade the car in, sell it to a private party, or give it to one of your kids as they head off to college. The choice is yours. Of course, just like leasing, buying a new car also has some negatives you should think about. To afford the vehicle, you may have to come up with a large down payment to satisfy the lender and to lower your monthly payment down to something you can afford. Another thing is the term of the loan. The longer you have to pay the loan off, the lower your payments. However, you’ll be paying more interest the longer you have the loan. Also, unless you buy and extended warranty, you may be on the hook for repairs that may crop up several years later. Fortunately, today’s new Hondas are some of the most reliable vehicles on the road. In fact, according to automotive experts IHS-Polk, Honda is the most durable and longest-lasting brand for the last 28 years. These are just some of the many things you should think about when considering leasing or buying a new Honda. The finance professionals at your Valley Honda Dealers in Phoenix are ready to help you make the right decision that works for you. Now is a very good time to buy one of our many beautiful and well-equipped new 2016 Hondas for sale in Phoenix. We have an incredible selection from which to choose. You can also save more when you shop our extensive inventory of outstanding Honda Certifed Pre-owned vehicles for sale in Phoenix that could save you thousands. We invite you to stop by a conveniently located Valley Honda Dealer near you and let us help put you in a new Honda today.